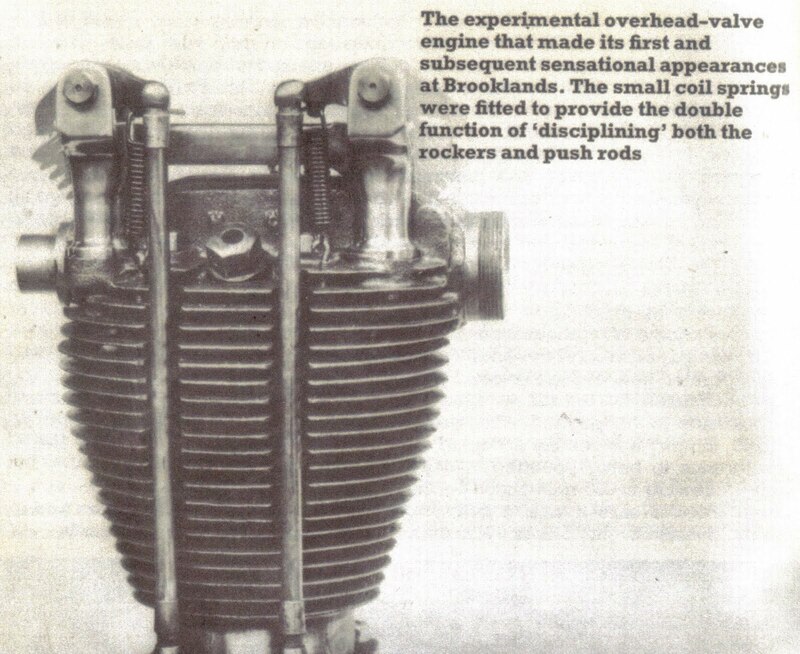 I have been looking for photos of early OHV heads. The head on the prototype which appeared at Brooklands (top) differs from that shown in the lower pic, although the rocker set up is similar so the date must be close. 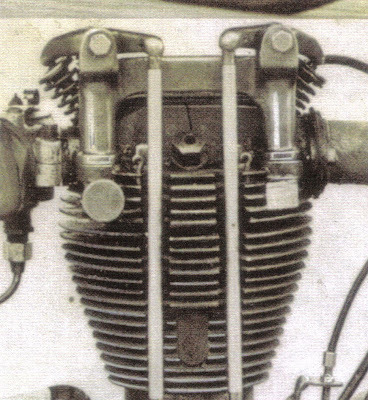 The Brooklands head (top) does not have the tension springs fitted although the hooks are in place. It is not possible to see if the heads are held down by sleeve nuts or plain nuts unfortunately. It is interesting to note that both have a total of 19 fins on head/barrel and the Brooklands head has the vertical saw cut mid way through the fins - as do the later production versions. Also note that the sloping fins are not present at this early stage and that the barrel of the Brooklands pic. has a flat boss on it - perhaps in anticipation of the push rod return spring bracket. And both have the dummy plug hole on the push rod side of the head.